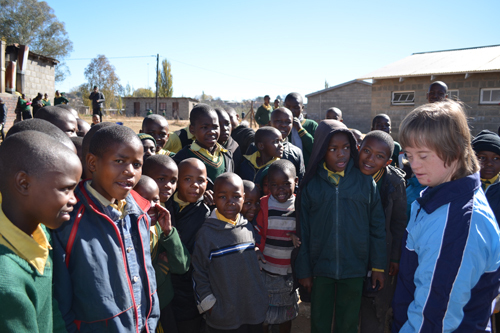 We had a great trip to Lesotho. 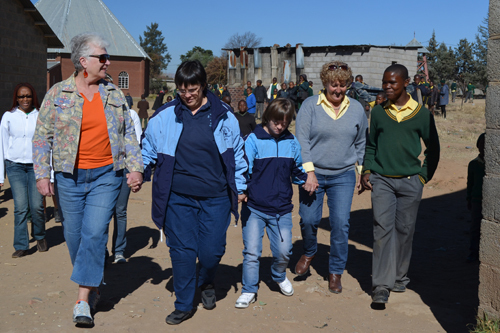 Myself, along with Nic and Wendy of Up with Down’s, Jan Seegmuller (founder and director of Up with Down’s), and a friend from the US had a safe trip and spent the first day visiting with our kids at Itekeng Primary School. They were very excited to see us all again, especially Jan, Nic and Wendy. 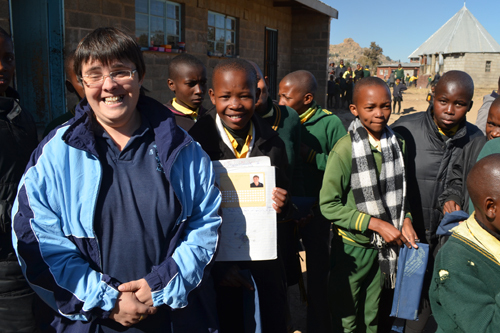 The last time the students had seen any of the adults from Up with Down’s was in January, during our school pack distribution. 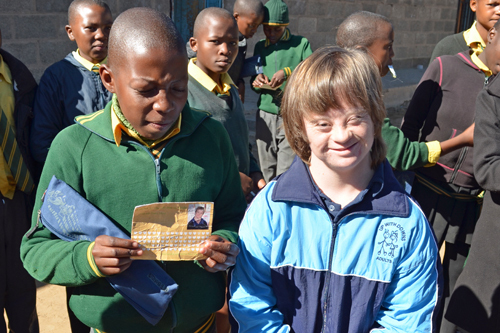 As we walked around outside the school we ran into several students holding up their school packs and their cards (which were placed inside each of their school packs and showed which student from Up with Down’s had packaged them). 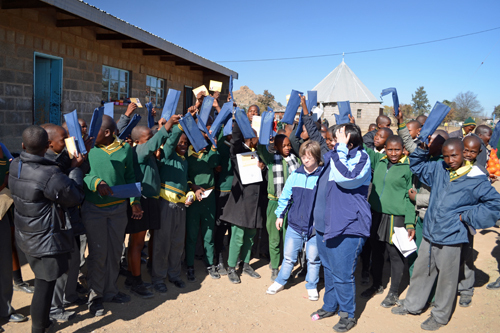 They were thrilled when they recognized that Wendy had been the one of the students who packaged their school pack! Of course they had to get pictures taken with both her and Nic. 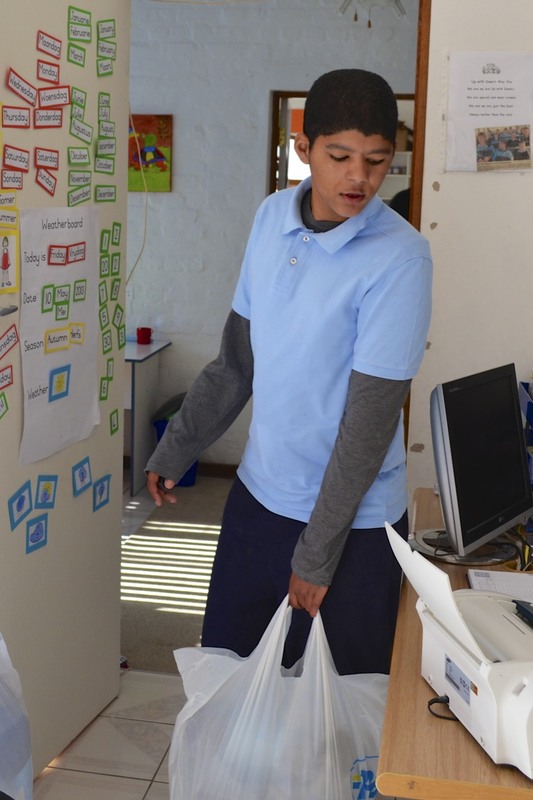 I love that these school packs have made such an impact on these students. They show them off proudly, each with a big smile on their faces. 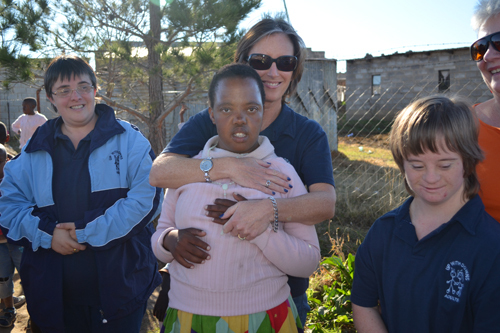 We were also able to spend some time with the children in our weekly Bible Study. This is a time I look forward to the most, as we have been able to build some very special relationships with these kids. It is also a time to have fun jumping rope and laughing together. 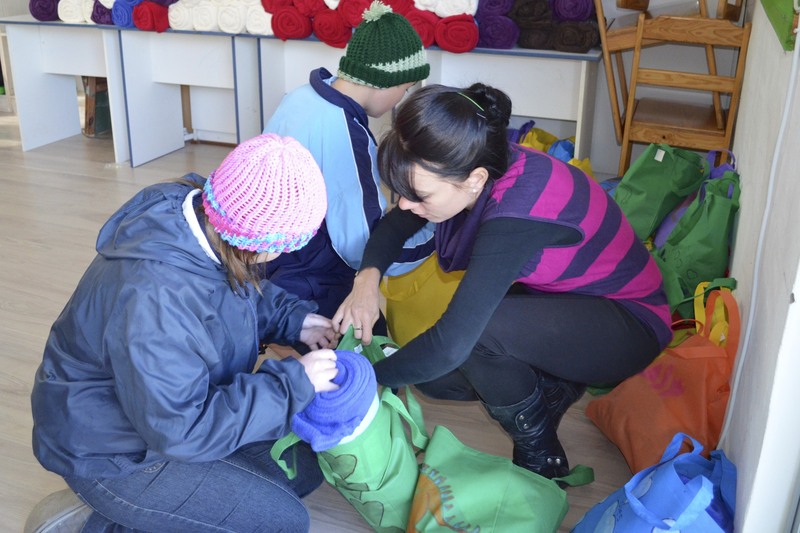 Last week, I returned to George, South Africa to see my friends at Up with Down’s and begin the process of packaging our winter packs which will be distributed in June to the children in Lesotho and George, South Africa. The weather is already starting to get colder here, with temperatures dropping into the 50’s at night in George and the 30’s in Lesotho. In the evening, I sit in my room with the space heater on, feeling fortunate for the warmth, but at the same time thinking of “my kids” in Lesotho who have to bear the winter with no heat and little to no clothes to keep them warm. 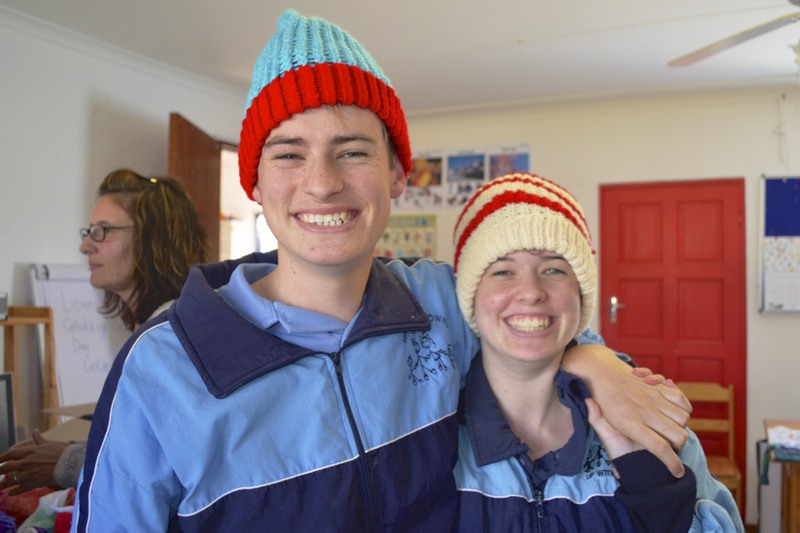 From these conditions comes our motivation to provide for more of their physical needs during these cold winter months, and that is why the students from Up with Down’s have been eagerly packaging warm blankets, hats, and scarves to put into each winter pack. In fact, they were so ready to take on the challenge; they completed all 200 packs in one day of work! 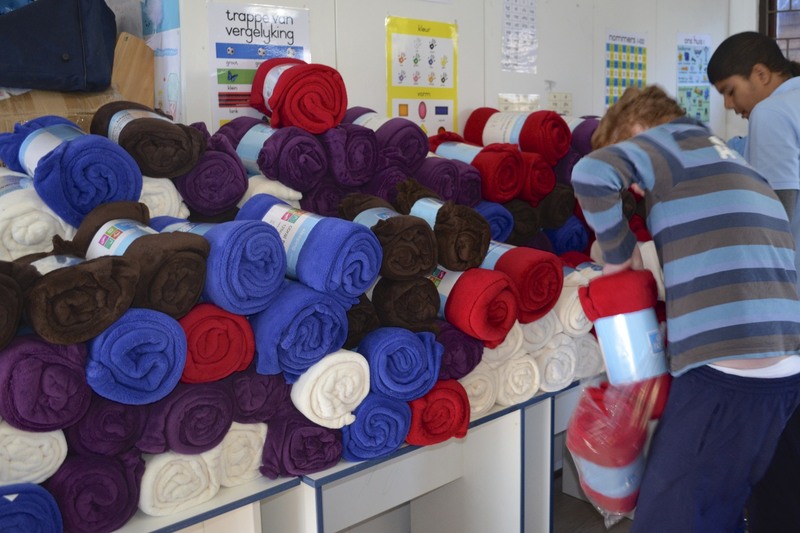 … While others sorted through each blanket and piled them one by one in preparation for the days work. You can always count on the students having a good time at whatever task is at hand. 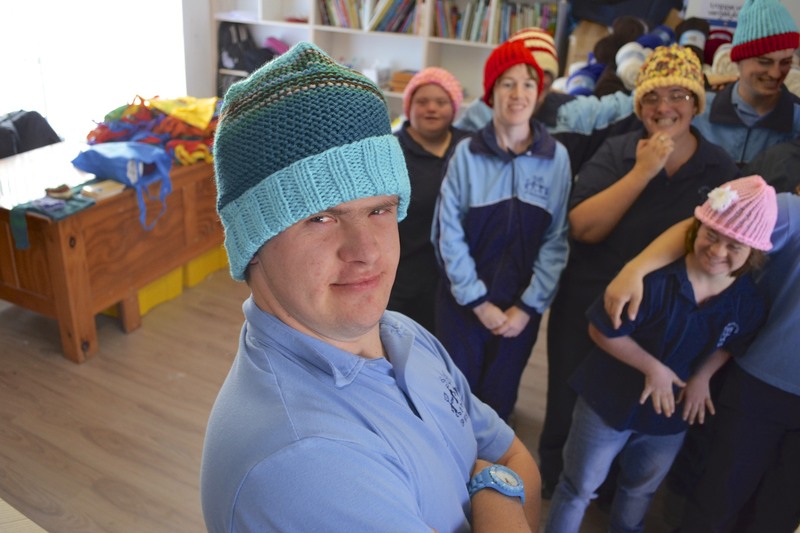 The students modeled each of the hats that were to be given away, smiled, and posed … and then smiled some more! 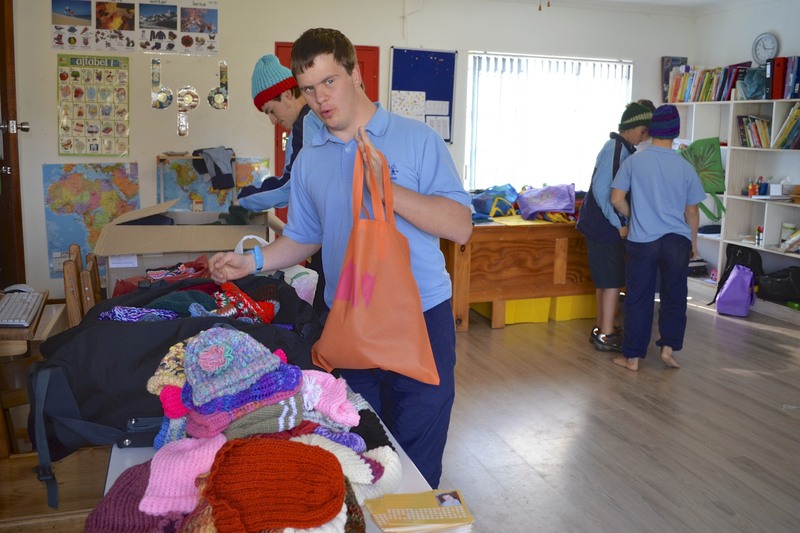 After successfully putting together both the Christmas and School packs a few months ago, the students have a systematic approach to getting the job done! 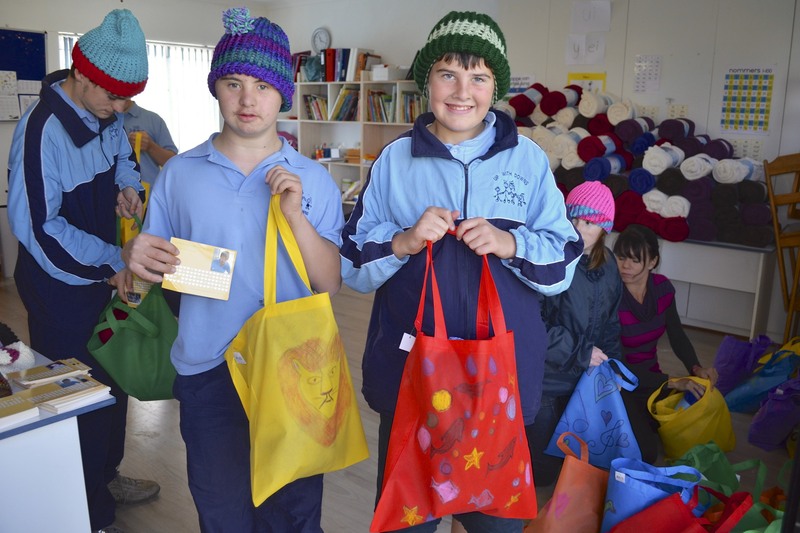 The students did a great job packaging each of the winter packs and were proud to show off their work and display who had created each bag. Thanks to all of you have helped pray for, support, and package this winter project and for being the hands and feet of Jesus as we seek to care for the least of the least in Southern Africa! If you would like to help fund our winter pack project, you can visit our website here. $25 will help cover the cost to purchase, assemble, and distribute each pack. 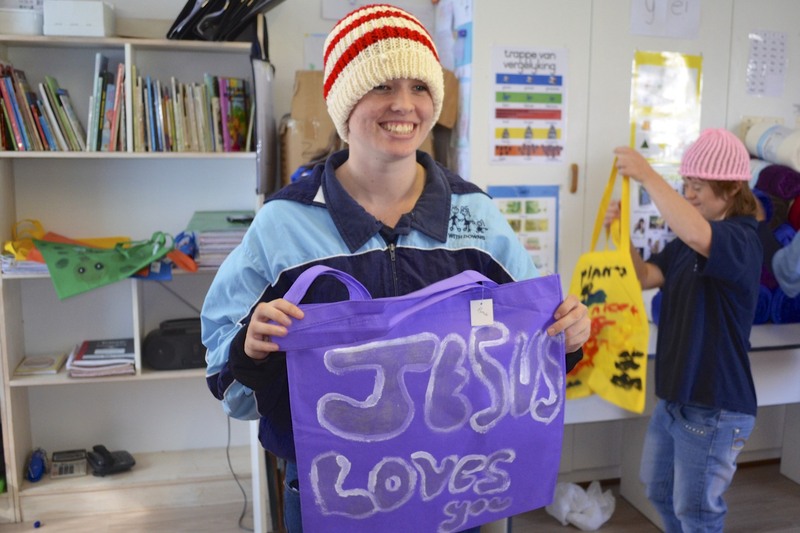 We are so thrilled about the impact of this year’s Christmas packs! 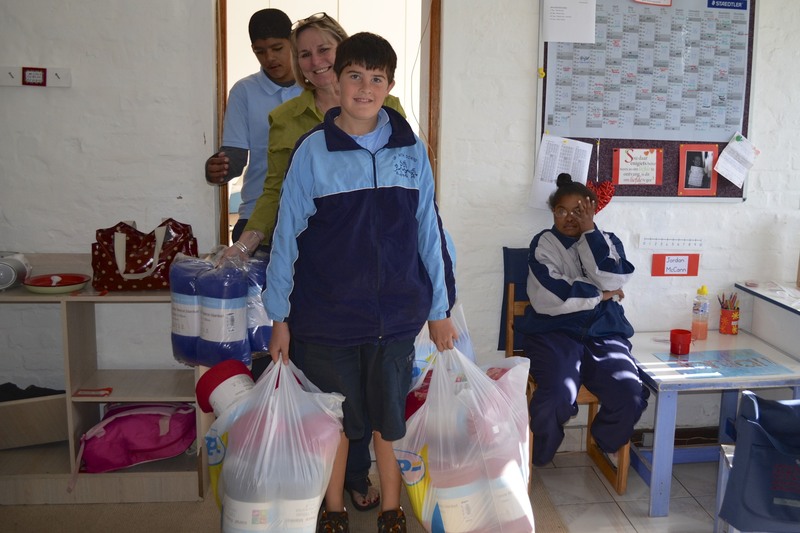 All of the supplies needed to provide toiletry bags for each child involved in our Lesotho Bible study were purchased in South Africa. That’s 100 packs that will be handed out this Christmas!!! 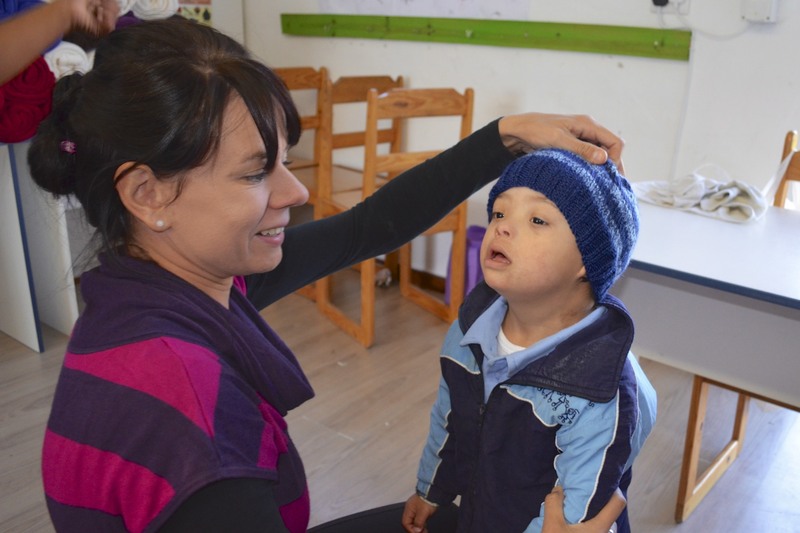 Each pack consists of toothbrush, toothpaste, soap, deodorant, shampoo, face cloth, Vaseline, and a special treat for each child to enjoy. 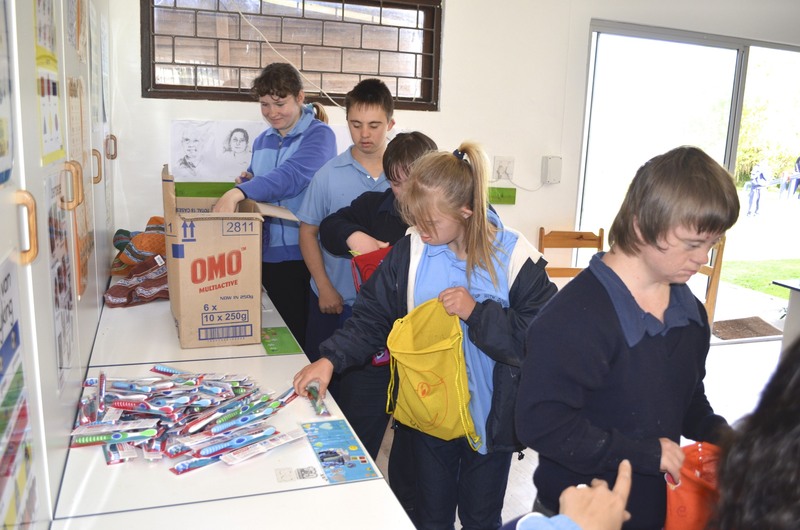 The students at Up with Down’s (a centre for special needs learners in South Africa) that we have partnered with, have eagerly finished packaging all 100 Christmas packs. During the packaging the kids were running from one station to the next gathering all the supplies needed to put together each pack. They were so excited about the project they were accomplishing and delighted to play a part in giving back to others. Now that the packaging has been completed, Mike along with two students from Up with Down’s, their parents and a grandparent will distribute the Christmas packs to the kids in Lesotho during our annual Christmas Braai on December 8th. This will truly be a joyous occasion as the two students from Up with Down’s will be able to experience first-hand the fruit of their labor. We can’t wait to see the satisfaction on their faces as they realize the impact they have made on the life of another child. 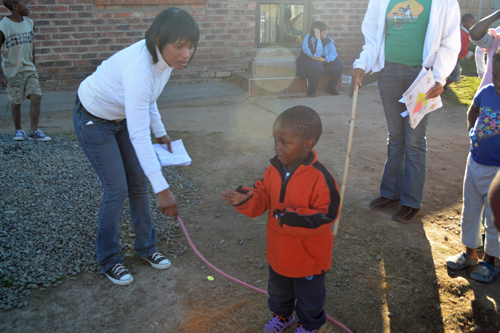 In addition, we look forward to blessing the children in Lesotho with these gifts. 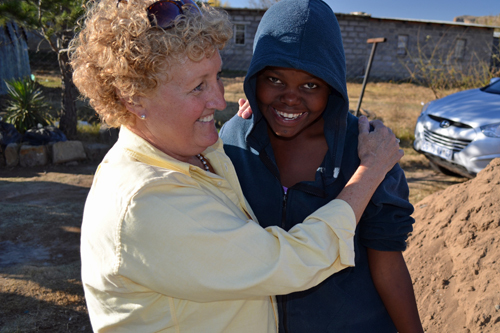 We hope that through this gift giving process we are able to share a touch of Christ’s love to each person involved. Thanks for making this project a beautiful reality! 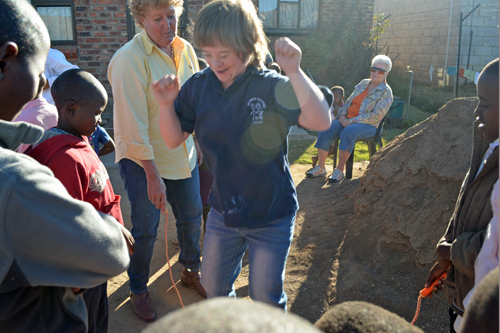 We will share more of this experience with you after our Christmas Braai on December 8th. In addition to the Christmas packs, the students at Up with Down’s recently finished packaging all of the contents for 2,000 school packs which will be distributed to needy students in both Lesotho and George, South Africa. More updates will be shared on this project as we draw closer to our distribution date in early 2013. 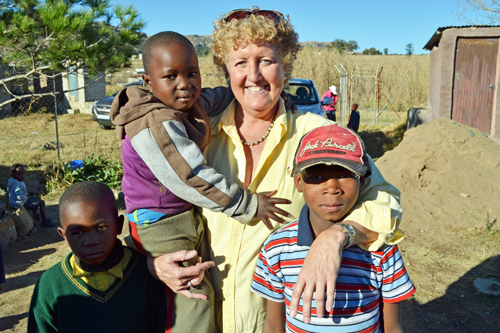 Make a secure online contribution that will help us help children in Africa. We live in Sarasota, Florida where we experience droughts and floods. Our summer rainy season is either in short supply or in abundance. When the afternoon rains do not prevail, the scorching sun dries out all the vegetation. 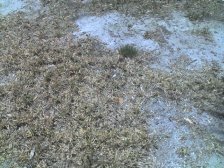 Lawns turn brown, flowers wilt, and the water table recedes with imposed water restrictions. When it’s dry, it’s very dry. In contrast, when the afternoon thunderstorms are prevalent we view a very different creation. The grass is green and grows frantically. Many times we have to cut our lawn twice a week. Plants, flowers and weeds grow profusely. When it rains, it is wet! In our spiritual lives we all experience droughts. Our time and experiences with God are in short supply. When the fresh rains of God’s presence don’t prevail we dry out. Our hearts wilt, our hope fades, our love withers, our faith runs in short supply. When we’re in a spiritual drought we need the fresh rains of God’s presence. It takes time in worship to experience God’s refreshing of our souls. It takes time in prayer seeking His heart to have our love for Him flourish. And, it takes time in God’s Word to satisfy the thirsty and fills the hungry with good things. Lesotho has experienced a physical drought. Crops are scarce and the consequences are life threatening. But, nothing is more eternally threatening than their spiritual drought. We are asking God to pour His refreshing rains over Lesotho.